This exciting business centre based in the heart of Hull offers both serviced and coworking space. It boasts a beautiful roof terrace offering panoramic views across Hull, as well as brainstorming booths and breakout space. It has an on-site yoga studio and gym, and is just an eight minute walk from Hull train station, which offers direct services to London Kings Cross. There is also a bus stop on Bond Street - where the centre is based. A complete range of workspace solutions provided by a business centre in Hull. 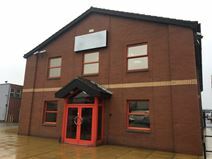 Office accommodation available, along with workshop, light industrial and storage premises. 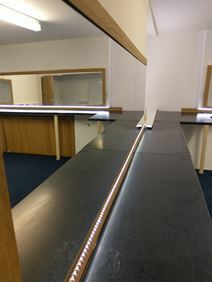 Complete with on-site maintenance and support, 24 hour secure access and ample parking, as well as on-site catering facilities. Conveniently situated with the M18 in easy reach. This practical centre, based in Hull, offers a number of useful amenities to enhance your working environment - including 24 hour access, an all inclusive rate, WiFi, a staffed reception, free use of meeting rooms and secure car parking. There are a range of offices available, thus making this centre an exciting proposition for businesses of all sizes. The centre is close to both the A63 and A165 roads, giving easy access for drivers. It is also close by to many shops, such as Asda and Lidl. Situated next to the University of Lincoln Campus this business centre benefits from a prime city centre location. The modern office space is complemented by intimate meeting rooms and conference facilities that can cater for up to 30 people. Tenants can access the space 24-hours a day, seven days a week, and transport links are good, with Hull Railway Station offering a direct link to London Kings Cross. Modern office accommodation in the centre of Hull. Situated in a prime location on Hull's central Market Place, surrounded by a varied range of local retail and business amenities. Features include open space layout, interview rooms and strong room facilities. This prominent building is just a 10-minute walk from Hull station, where there are services to London Kings Cross. The centre has been recently refurbished and is ideal for companies looking for office space in an up-and-coming area. Hull is full of great places to eat and drink, as well as hotels to suit different needs and budgets. There are also museums and galleries across the city, as well as leisure facilities. Based in Hull, this centre offers a wide scope of features and amenties to make it a productive working environment. with free, uncapped WiFi you can rest assured that you will never be without data. Similarly, with the centres staffed reception, they will look to answer all your questions and ease your transition into your new workspace. Other amenities include: free use of meeting rooms, 24 hour access, all inclusive rates, secure car parking and electronic door access. This practical office is available on flexible terms, has an onsite cafe and a brilliant sense of community. The centre comes with an abundance of onsite parking. Potential tenants can let on a monthly, flexible easy in easy out basis. The centre is based outside of the city centre, in Wilcolmlee, but is still just seven minutes drive - or a 25-minute walk - from Hull train station. Other Hull landmarks - such as the City Hall - are around a similar distance.